← Hey society- are we a bunch of lazy f**kers or what?! It’s at these moments like these I am reminded that the world does not revolve around my meaty journey. I could actually eat some whale with the Arctic Circle Norwegians- their main food source. 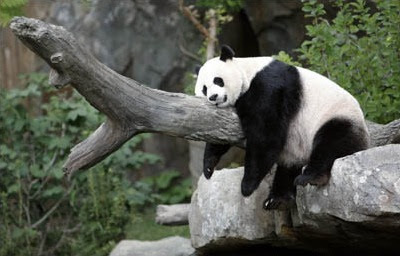 I could eat some frogs with the French, some moose with the Canadians, some springbok with the South Africans, and of course some lazy old panda with the Chinese… (I am by no means suggesting that the Chinese eat panda merely that they come from there. And that they’re lazy as all hell). Is there something more sinister behind the name ‘whitebait’? Unfortunately it seems not; it is the collective term for an immature fry of fish of varying species, depending on location. 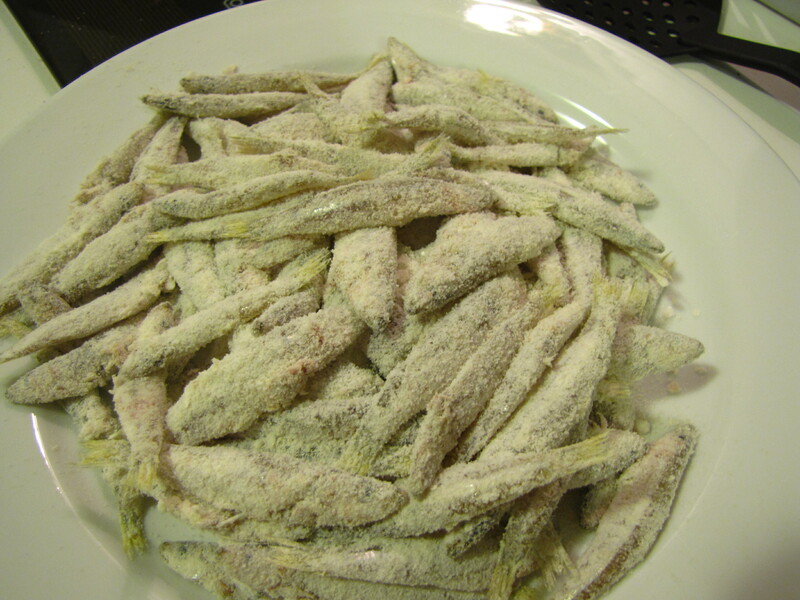 Whitebait are a big deal in New Zealand and are usually eaten as a ‘whitebait fritter’. I’ve only ever eaten them once, and it was good. However in my eternal cynicism I found it difficult to taste any actual whitebait and instead just tasted ‘fritter’ or omelette, which this essentially is. That was then, this is now! (Such a profound statement). Australian whitebait are large compared to their NZ cousins. Or as my flatmate called these particular ones while I was preparing them- “Oh they’re Nungas, you don’t eat them”. Hmmm, it appears in Australia they do! What did I do with these ones? Given the size of each little whitebait, a fritter was out of the equation. So I instead decided to dust the whitebait with coconut flour (this is just finely ground coconut) and a little rock salt, then fry quickly in a generous amount of coconut oil and serve with a simple salad of rocket, pear, walnuts, beetroot matchsticks and parmesan. As I write this I was thinking that cutting one beetroot into small little matchsticks was the most time consuming part. However I was wrong. I had decided to make my own aioli from scratch. I was warned that this is hard to master, and this proved to be a very true lesson on my first run. The ingredients of garlic, salt, lemon juice egg whites and extra virgin olive oil separated and became a sloppy waste. But the second time round I killed it. The consistency was perfect! However I somehow left ingredients all over the kitchen and oil all over my t-shirt! It went into the fridge to rest. I washed and dried the fish, removed the bad ones and once dusted with coconut; they started to give a hint of what the finished product might taste like. 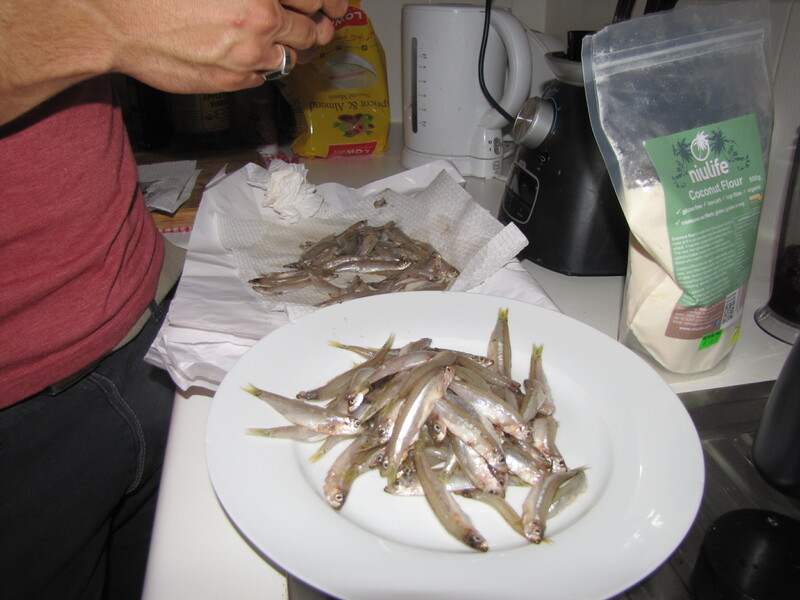 How did the whitebait turn out? As I alluded to above, I was sceptical about whitebait, thinking that the fritters in NZ essentially just tasted like fritter. Perhaps I’ll have to rethink that, as these little coconut infused fishies were absolutely freaken awesome! I was an instant fan, especially with the aioli. However, as discovering a bit too late into the meal- the decision to cut the garlic in the mixture in half wasn’t anywhere near enough. Wowsers this stuff was strong! Good, but so strong it left NN and I feeling it’s affects well into the next morning. Seeping out the pores extreme! Intense! 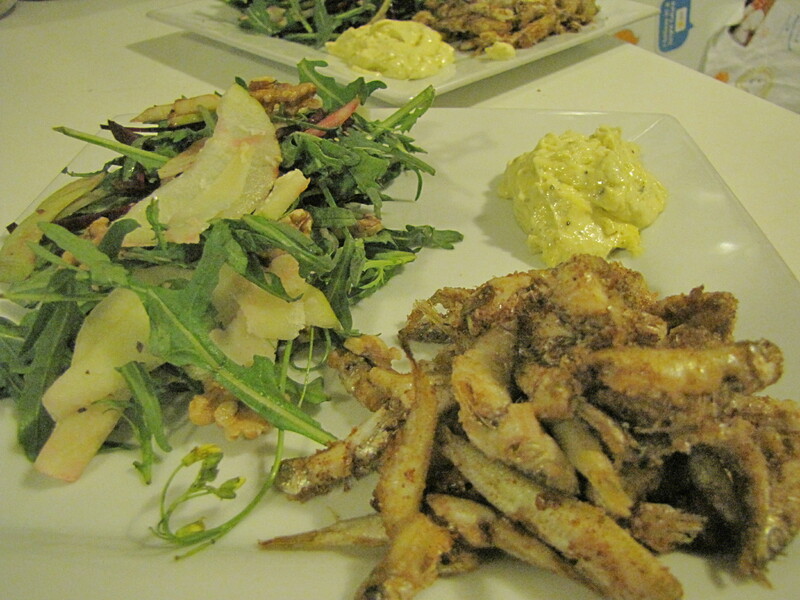 The salad was a great accompaniment to the whitebait, simple yet delicious. NN was in heaven. A massive whitebait fan already, upon eating this dish she can be quoted as saying “Yum yum yum, I think this is my favourite of your dishes so far!”. Hell yeah, that’s what makes this worthwhile- a 100% satisfied companion! (Apart from the now overpowering garlic taste deep inside our bellies). It was taking over! Oops. Would I have this again? No doubt! 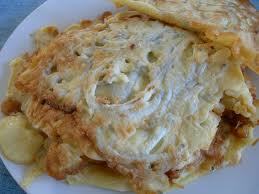 In fact I’m keen to try the more traditional whitebait fritter in NZ next time I’m back home and it’s available. This dish will definitely make another appearance. It was super tasty and such a cool, simple, different little dish to the kind of thing I normally do. In fact, like most fish, this is a great addition to any diet from time to time. Whitebait, like other wild meat, is a great source of protein, quality fats and a number of crucial minerals and vitamins. Plus you get to eat heaps of animals at ones, including their bones and heads! Any vegetarians out there have a take on this? And there we have week 35, done and dusted, in coconut flour. Stay tuned for next week when hopefully my organisation with Tom will produce something land based and strange… (ish). Once again, welcome to new readers and fans. Please if you haven’t already, get onto facebook and like my page, and if you tweet, then tweet at me! I really appreciate your support and help spreading this blog around. Have a comment? Write it below and start a conversation with me! Love whitebait! And as an Aussie it is difficult to admit, but yes NZ whitebait is the best!